Interpreting African American History at Your Site or Museum? 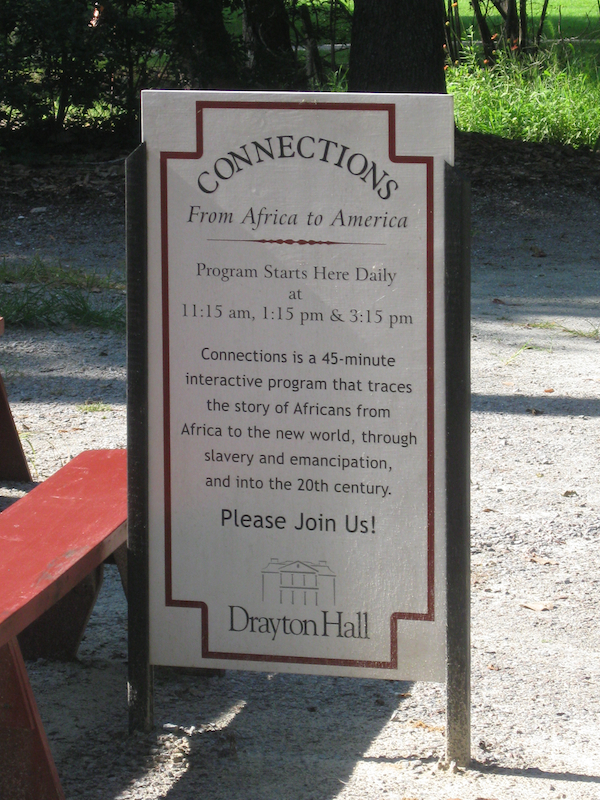 Every day Drayton Hall offers “Connections,” a 45-minute program that traces the story of Africans from Africa to the new world and into the 20th century. If you’ve been involved with the planning, development, presentation, or evaluation of an outstanding exhibit, program, or project interpretation of African American history and culture at a museum or historic site in the last five years, consider sharing it as a case study for a book I’m editing for Rowman and Littlefield Publishers. This book will be part of a series on the interpretation of various topics published by the American Association for State and Local History that are slated for release later this year. The first part of the book will be a wide-ranging anthology of articles written by experts and scholars from a variety of perspectives, including Bernard Powers, Matthew Pinsker, Kristin Gallas, James DeWolf Perry, George McDaniel, Amanda Seymour, Donna Graves, Julia Rose, and Lila Teresa Church with a foreword written by Lonnie Bunch. If you know any of these people, you know it’ll be an interesting and thought-provoking book. If you have suggestions or ideas, or if you’d like to contribute a case study, please contact me at Max.vanBalgooy@EngagingPlaces.net. Thanks! This entry was posted in Books and articles, Historical interpretation and tagged African American history on February 12, 2014 by Max van Balgooy. It’s not clear from the website who is responsible for the project, but you can contact Archivist Rich Aarstad raarstad@mt.gov and ask. Please mention my name – hopefully he will respond more promptly if you put my name in the subject line.